Disasters & Development : Why Study Disasters? People often ask me how I got into research, and disaster research in particular. It was actually quite accidental. In late 2005, I was a postgraduate architecture student at Queen's University Belfast, trying to pin down a topic for my research thesis. The list of potential supervisors included a recently arrived academic with an interest in 'building performance in extreme events'. 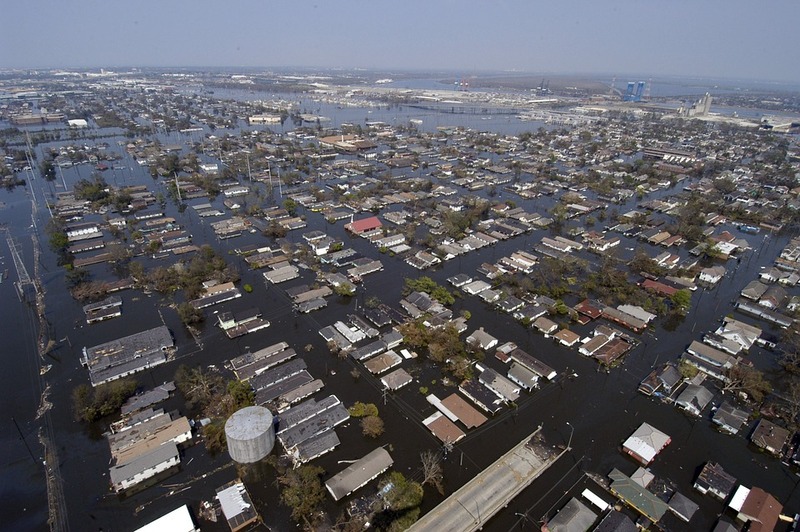 Just months previously, Hurricane Katrina had devastated the U.S. Gulf Coast. I was concerned, as a citizen and as a budding designer. I knew little about disasters, and even less about research. This, my very first research project, opened my eyes to the incredible complexity of disasters and piqued my interest, for good. 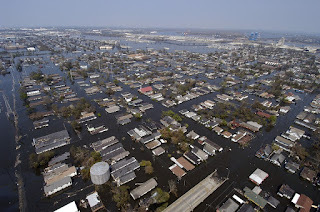 I realised quickly that the wind, the storm surge and the flooding experienced in New Orleans and the Gulf Coast in the wake of Katrina, were only the most superficial factors contributing to this disaster. This was quite profound for me, and challenged the myth that I had so easily absorbed; that disasters are natural occurrences. They certainly are not. As I investigated the many reasons for death and destruction during my field work, I started to understand that disasters were caused primarily by humans living in vulnerable conditions. Since that first research project, I have undertaken investigations in a range of diverse contexts around the world. I have become a part of the scientific community and seen the rapid growth of a body of knowledge related to the study of disasters. It is a research domain that has emerged in various fields, and one in which cross-disciplinary collaboration is absolutely essential, if not always enacted. It is a domain that naturally challenges silos; one that attempts to solve problems where shared expertise is vital to obtaining the right solution. I feel a great belonging in that space, and I deeply respect those who choose to spend time there. Now, that is not to say that my area of research is devoid of the 'academic' problems that challenge other research areas. It is not easy to secure funding for cross-disciplinary research, for one. Both funders and reviewers seem confused by the concept. As a result, many potentially high-impact projects are shelved. Perhaps more significantly, research for the common good is not seen as a worthwhile investment. The Australian government recently paid Bjorn Lomborg's Copenhagen Consensus Centre $640,000 for their contribution to a report stating that investing in disaster resilience for poor people was likely to yield 'poor returns'. Somehow I'm not convinced that the poor would agree. You can always count on the elite to decide whose lives are 'worth it'. Funding is directed towards projects that comply with allegedly depoliticised agendas (I.e. Uphold and if you really have to, reform, the status quo). Such incremental change will not save us. Most scholars in disaster-related areas recognise that 'managing disasters', while essential of course in the event, is not going to prevent future losses. We must instead focus on reducing the level of existing risk and preventing the creation of new risk. As losses mount and our future becomes more uncertain, the call to deal with the root causes of disaster is gaining momentum. These root causes are not natural. We have a choice. Humans are in the driving seat of risk creation and reduction. There are many reasons that I do what I do. Of course, the disaster field captures and holds my attention intellectually, while I personally enjoy working in a domain that involves close interaction with a diverse group of people that represent a range of perspectives and ideologies. There are, however, a number of reasons that I think that the study of disasters is particularly critical and that motivate me to continue. 1) We are rushing headlong into a calamitous future - The future is uncertain and the evidence that we have predicts apocalyptic scenarios if we do not change course but rather continue to over-consume and destroy our only world. This gives a massive sense of urgency to the research field. 2) It is a pathway to protect the vulnerable - Disasters are about people at risk. Those most affected by disasters are the most marginalised, discriminated against, dispossessed and displaced in our society. They need to have a platform for their voices to be heard. A disaster researcher has a great opportunity to connect human IMPACTS to ROOT CAUSES, and make evidence-based arguments for change. 3) Complex, extreme conditions are not well understood - Most conventional knowledge is built on what we can predict and, ever more widely, what we can model. Outliers are not recognised in our computations and as a society we are broadly ignorant of disaster risk. We need more complete, more straightforward and more challenging data. 4) It is an outlet for activism - Disasters are political! Don't let anyone tell you otherwise. The biggest challenges in communicating truths about disaster are myths and misconceptions, widely held in our society. BUT people are interested, and they do care. Convincing arguments can be made and turned into action in this field that certainly grabs the attention. 5) The current system is not working - The status quo is creating risk, not reducing risk. Our leaders are either blind to the dangers of maintaining the social/economic/political order or are owned by special interests in rejecting the consideration of alternatives. The study of disasters provides a perspective on this dilemma. 6) Disasters highlight socio-economic inequality and injustice - This is a unique place from which to critique the many structural failures in our society. As we investigate why people are at risk, how they are impacted and how they can avoid future calamity, we have the opportunity to collaborate with other disciplines to develop more holistic responses to injustice. I choose to express my deviance and my rejection of the status quo through my research activities. I want to spend time asking uncomfortable questions and challenging orthodox views. Within the disaster sphere there are of course many 'safe' subjects and my observation is that those asking the right questions are often a) young and idealistic (uncorrupted?) and likely to be dismissed as naive by more established peers or b) distinguished Professors that are likely to be dismissed as cynical and cranky. On both end, deviants have their ideas labeled 'too radical' and just 'unfeasible'. I think what they mean is inconvenient. I'm sure that there are many more reasons that the study of disasters is important. These are just some of my thoughts to get the conversation started. Why are you interested in this subject? Please feel free to share your thoughts, ideas and perspectives. I would love to hear what others have to say. Fascinating post, thanks Jason. Coming from a social science (law) discipline, I'm drawn particularly to the human-focused reasoning. The idea of revealing people's lived experiences reminds me of the storytelling methodology of critical race theory. I also love the idea of taking on an activist voice as a researcher - in my view, way too much research hides behind a veil of objectivity. We all do things for reasons! Thanks Amy. The majority of current research energy in disasters is aimed towards technocratic solutions to social, economic and political problems. Sometimes I think that we must be blinded by wonder in our own innovative capacity (while missing the core problems). When I'm feeling particularly cynical, I consider the possibility that many people don't actually care about the suffering of others and are just in this for themselves. If that is the case, they choose to avoid the core issues. In any case, I hope that we can naturally draw more people towards the human-centred approach! Thank you Rianne. That is a great reason to study DM. Conflict is mostly manufactured and agitated for profit, and I think that we can help to expose this terrible racket.